The past two days have been quite pensive for me. When a time comes around in our lives to experience the death of someone close or (as in this case) the death of a beloved animal, it quickly casts us into sorrowful contemplation. Our sense of purpose and raison d'etre are strangely and softly called into question. Fresh perspective is gained and through our sadness we may also become thankful for our many blessings and good fortunes. And so I cogitated this weekend, as our oldest and biggest beloved goat Purslane died Sunday morning. 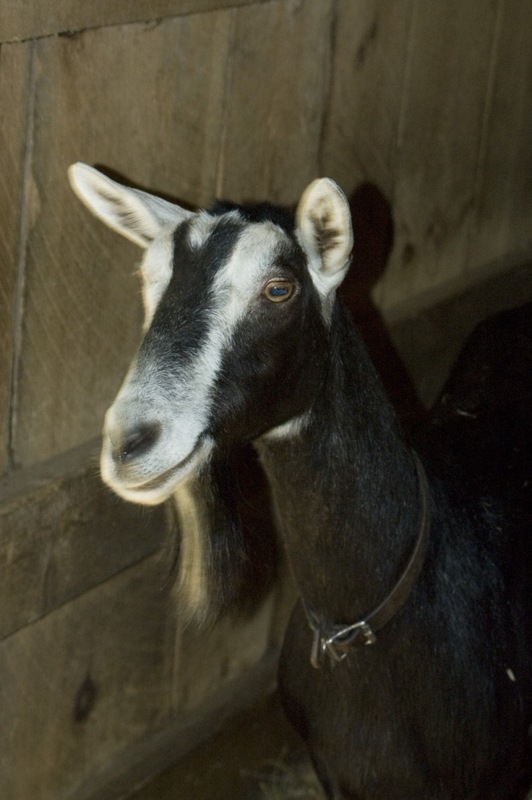 She was 18 years old - she lived unusually long for a goat and she was one hell of a goat at that. She was strong in pure muscle and force as well as in spirit. All of the other barnyard animals held her in high esteem and respected her as a matriarch. She vexed us when it came time for hoof clipping. She made us laugh when she would extrude her head through the holes in the barn slats for feeding. She was keenly smart and capable. She knew what she wanted and most of the time she got it. She was a goat to admire, and love with all of your heart. Since climbing is considered a high risk activity (or so say the insurance companies), I sometimes contemplate the possibility of a sudden or unexpected death. Personally, I think driving a car is more dangerous than climbing, because we take driving for granted. When I go climbing I am hyper-aware of my surroundings and once I leave the ground pay close attention to details which might make the difference between a fun, memorable outing and an epic. We all take risks. The trick is to reduce the inherent risk in these activities we pursue. And accepting some level of risk is essential to living. If we do not live our lives doing the things we love and being with the people who make us happy, then what is the point, really? A legend of climbing also passed away recently. While I did not really know anything about Jack Roberts, the climbing community is incredibly compassionate when a member is lost. It sounds as if Jack died exactly what he loved doing - climbing - and he died a happy man. See A Tribute to Jack Roberts for more details.